This product is guaranteed to be free from defects in material and workmanship for one (1) year following the date of purchase please contact our customer service line at 1-888-867-6095 or at the following email address: customerservice@niinorthern.com. Add lighting and ambiance to your outdoor table setting with the beautiful tulip shaped crackle glass jar. Features a separate switch to allow you to select either multi-colour or white LEDs in either a rotating or fixed LED pattern. Co-ordinate with other products in the Solar Kaleidoscope Collection including 1001034624 Kaleidoscope Solar Spot Light, and 1001033827 Kaleidoscope Solar Jar Light. Hampton Bay uses an integrated LED light source to produce the same light as a fluorescent light bulb using 70% less electricity. Because the LED light source is built into the fixture, there are no bulbs to replace or recycle. This collection features a modern, elegant style with an oil rubbed bronze finish and frosted glass shade that diffuses the light so that there are no shadows or dark spots. The flushmounts are low profile to hug the ceiling, to make room for doors and to make the room feel more spacious. These ceiling lights are built with steel to look great and save you money for many years while blending nicely with the decor of your home. 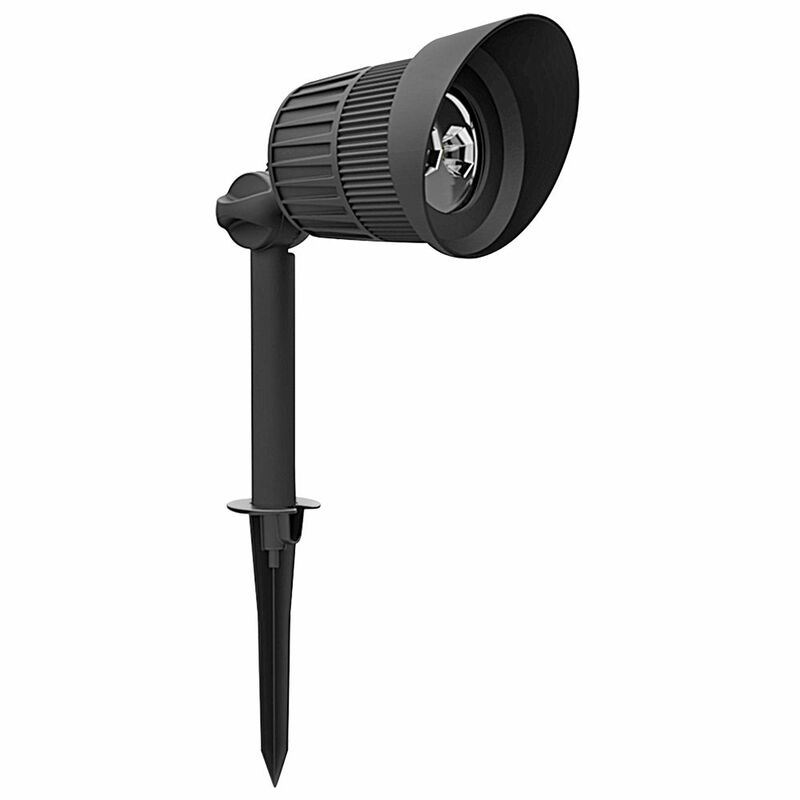 Add style and enhance the beauty of your home and landscape with this professional quality cast aluminum 8pcs LED kit. UV protected black paint finish and solid construction provide long life. The 0.3W warm white LED bulb provides greater energy savings, reduces maintenance costs and creates less waste. This box includes 6 fixtures, 2 spot lights, each fixture has 12 inch SPT-1 18 gauge cable with easy quick-clip connector, 40W transformer with photocell, 50ft SPT-2W 18 gauge landscape wire. New generation energy-saving and eco-friendly LED lighting kit for low voltage systems. The photocell on the control box will let you enjoy beautiful outdoor lighting every day from Dusk-to-Dawn automatically using its-light sensor to operate the lights according to ambient light. When the installation area doesn't give you access to sunlight, the fixed timer comes in handy with its fixed 5H and 10H timer. Deluxe 12W 700 Lumen LED Senior Spot Light is rated 3.5 out of 5 by 4. Rated 2 out of 5 by edincal from Poor design The light bulb is built-in in the unit, therefore, no replacement light bub. I bought one a year ago and was working fine for 14 months. The light stopped a week ago and I found out I have to replace the whole unit............it's not designed for light bulb replacement.....poor design. Rated 5 out of 5 by Royston from Happy with Product Very happy with light. Easy to install. Appears any earlier issues with the spike have been resolved as I had no problem at all putting it in fairly hard ground. Rated 2 out of 5 by chrisl from Excellent LED Spot Light - Terrible Spike Base I can not say enough about this light - it is great. Yes it is pricey but then again, you get what you pay for. Well no - not in this case. I can say that this would apply for everything about the spike base but then it fails badly. I purchased three of these and two of the spikes have broken completely at the same point. These spikes were not driven into hard ground or rock but newly laid sod and both broke without any effort. I will again replace the 2nd one but if any break again I will return all three and go to a different product/store. This is a design flaw that needs to be address by Hampton Bay who must be aware of it . To bad because the light above the flaw is outstanding. I have a Hampton Bay low voltage senior spot light. I love the product but I broke the stake that holds the fixture up. Are there spare parts that I can get for this product? Hampton Bay, through Home Depot, sells a 4 piece universal solar light ground stake product # 710 725 which I have used with limited success. Breakage as you describe is common place in this product.